01. Why is a Winndom Mattress better? 02. How often, and how, should a mattress be turned? 03. Why should you buy a mattress from a small CUSTOM manufacturer, and what do you mean by a CUSTOM mattress? 04. What should you look for in a mattress and matching boxspring? 05. Should I buy a foam or innerspring mattress set? 06. Why would I want a CUSTOM size or a CUSTOM construction mattress? 07. Do you make a memory foam mattress? 08. How do I know I am getting proper support? 09. Should I be able to tell the difference in a new mattress overnight? 10. When is a good time to replace your mattress & boxspring set? 11. Is it normal to see body impressions in my mattress? We handcraft every mattress with superior materials and superior craftsmanship. 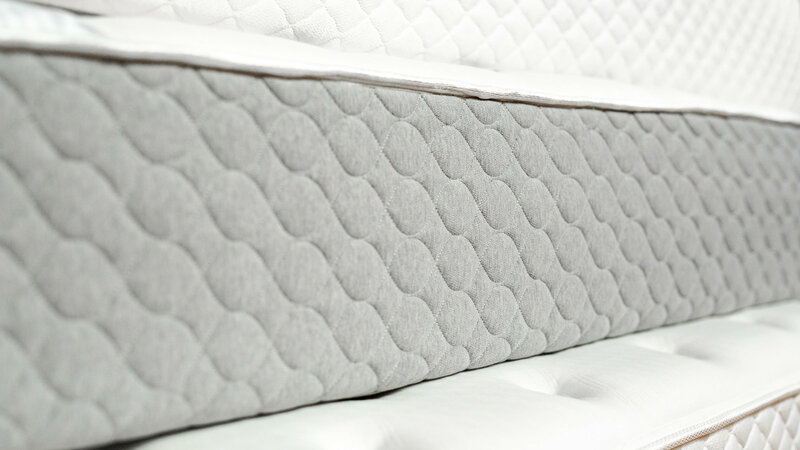 From the box-spring to the foam we use, we take pride in each mattress we manufacture. A one-sided mattress will be turned, while a two-sided mattress will be turned and flipped. When you first get your mattress and are “breaking it in”, it should be turned and/or flipped every 3 months during its first year. After that, a one-sided mattress should be turned every 6 months. For two-sided mattresses, you should turn and flip it every 6 months after the first year. At Winndom we use only the best materials to make your mattress any height, width, and length you need. We will build the mattress to the firmness and softness you desire. Our mattresses are not made on a conveyer belt; we construct each 1 by hand. Truly a custom made mattress. Your main objective is to get a great nights sleep, while having proper support. You do not want to feel pressure points in the mattress, but rather you should feel all of your body being supported, with your spine in a position parallel to the floor. Your body should be totally relaxed when in the proper sleep position. As long as the mattress is made of HIGH QUALITY MATERIALS (like a WINNDOM) it is a matter of what feels best for you when it comes to support and comfort. BEWARE A CHEAP MATTRESS CAN FEEL GOOD AT FIRST BUT NOT FOR LONG !!! There are several good reasons! For example, a very tall person requiring a longer mattress, an antique bed with an older specialty size, custom sizes for your boat or RV, or if you have special health issues such as heital hernias, fibromyalgia, circulation problems, or acid reflux, just to name a few. Yes, we offer memory foam in innerspring and all-foam mattresses. Your whole body should be supported yet comfortable, with your spine in a straight line. Some do, but most consumers find it can take up to 2 weeks depending on the shape and support of your old mattress. When you put your body in a new position, it sometimes takes a while to adjust even if the old position was bad for support. When your body adjusts you will be amazed about how good it feels after a proper night rest!! The industry says every 8 to 10 years. However, with a Winndom mattress set, you will only want to replace it if you require a different feel. We have a fifteen (15) year non-prorated warranty (free replacement or repair) on our mattresses if they are defective. 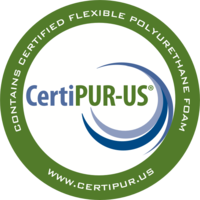 You will see slight body impressions of 1/2 inch or less due to the fire retardant fibers used in mattresses now.